*drum rolls* Here comes the jingle of joy…. OK, so the fact that I have recorded my own biscuit jingle is a bit of a clue to my biscuit loving nature. I have long considered biscuits to be a perfectly respectable breakfast food (and lunch and dinner for that matter) so imagine my glee when belVita launched their breakfast biscuit range a few years ago, with a special recipe to give you slow release energy to keep you going through the morning. Now I could legitimately enjoy my favourite food stuff for brekkie with no fear of condemnation! Mornings are a bugger aren’t they? I do not function that well first thing, and having three kids to hoover out of the house by 8.20am is not my idea of fun. This is how our morning goes generally…. Stagger downstairs and blearily switch on kettle while simultaneously crossing my legs in the hope that whoever is in the loo hurrys up. Shout at teenager to get up. Make packed lunches, because despite repeated promises to get organised and do them the night before I am incapable of that level of organisation. Hunt the house for school/pre-school clothes which the children have trailed behind them as they undressed the night before. Begin hunting for a pair of socks. Discover toddler has 17 odd socks, which must defy the laws of probability. Eventually locate two that are ‘close enough’ to class as a pair. Teenager appears 1 minute before she needs to leave for college, shove packet of belVita biscuits in her hand for her to eat on the way. Find second toddler shoe down back of sofa cushions. Dash out of house, only 3 minutes late. Drop off big son, then small son. You have to take pleasure in the little victories that the morning offers you – the days when your toddler cleans his teeth without a meltdown, the school run walks when the sun shines on you, and the days when you make it on time without having to run. The mornings where you manage to finish a cup of coffee AND have time to brush your own hair are big winners in my house. Once everyone is safely ensconced in their various educational settings, I finally have time for my own breakfast – more coffee (I am powered by coffee), belVita Biscuits, and (for the purposes of pretending to have a healthy balanced breakfast and cos it made a nice photo) some Madagascan vanilla yoghurt and strawberries. (I don’ t really eat the yoghurt and strawberries, I just cram in biscuits, but you know, got to pretend to have an ‘aspirational’ lifestyle when blogging!). The new belVita Breakfast Crunchy range is really yummy, available in choc chip, apricot and hazelnut, they are very tasty, definitely live up to their crunchy promise and stand up to a good solid dunk without falling in your coffee (I hate having to fish bits of biscuit out of my beverage!). Biscuits for breakfast? That’s my morning win! My friend swears by biscuits for breakfast. They are nice biscuits mind. 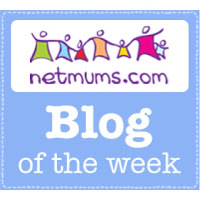 Cass@frugalfamily recently posted…Nail varnish isn’t just for nails…. For a minute there I thought you had a snooze button on your toddler and I wanted to know immediately where I could get one!! Brilliant!!!! You had me in stitches, I have 4 kids to get out of the house by 8am and it’s a killer. “Inhale coffee” is SPOT ON! Kate Thompson recently posted…Forget drugs, the biggest problem the next generation face is adrenalin addiction. Great post! I honestly can’t cope without my biscuits. We love belVita Biscuits in our house. My children don’t have an ‘off’ switch let alone a snooze button. I love the jingle! I haven’t tried them yet but they are on my list! What a fun biscuit jingle! I hate mornings, I’ve never been a morning person and never will be one. Sadly my son has inherited that quality from me. Looking ta your list shows how hectic morning are you deserve cup of tea and a biscuit. Enjoyed the insight into your mornings and I too struggle first thing. Commenting for myself and on behalf of BritMums and thanking you for taking part. I am all for biscuits. Any time of day or night. Great for breakfast too! Ha ha that sounds like my morning…every morning…except I normally get home and then realise something I should have sent one of my little ones into school with and haven’t…again! !